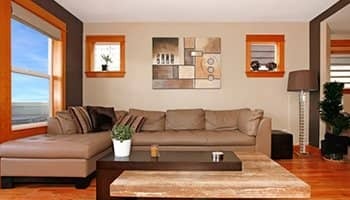 Savage Painting was first established in 2010, and immediately became the preferred service provider for painting work. We are proud of the impeccable reputation we have built by providing superior results for the residential and commercial clients we work with. The services that we offer include interior and exterior painting, as well as our specialty in exterior cleaning work such as power washing, window cleaning and gutter cleaning. We take a unique approach to ensuring that we meet and surpass the needs of each of our customers. We believe the job isn't completed until the wife says so! All kidding aside, we take a stance that we are not satisfied with the outcome of the work we do, until all parties involved feel the same. In other words, we want to make sure that you, and all of your family members, are in agreement that the work is topnotch. We want to be able to not just meet your expectations, but exceed the expectations of your entire household. We are working with you to transform your current house into the home of your dreams. We carry out the job with the same care as though taking care of one of our own houses or personal projects, if not more attention. It is our commitment to the satisfaction of each and every one of our clients that has helped us earn the high level of repeat and referral business that we do. Now, we look forward to having the opportunity to partner with you and show you what a difference it makes to opt for superior workmanship. Getting the best in interior painting work is vital for a number of reasons. For starters, this is a great way for you to be able to transform your current house into the the home of your dreams. The colors you choose and the skill with which it is applied is what helps complete the look and feel of the inside of your home. In some cases, your interior walls become the perfect background for the furnishings and wall decor. In other cases, your walls may even become the focal point by picking vibrant and exciting colors. That is up to you and you can work with your painting professional to decide what would work best. It is easy for a homeowner to make mistakes, when it comes to making choices about colors, which is one reason it is important to team up with a true industry expert. The other reason it is vital to work with a pro is so you can get the skill and precision you need for the application. The results that you get should be able to last for years to come, but this may not be the case if you attempt to DIY the job. Too often, people think that this is the ideal project to make a do-it-yourself one, yet end up unhappy with the final outcome. There is much more to an interior painting job than just applying paint, although that alone is much more of a challenge than the average person thinks. It’s about prepping the walls and the room, as well as taking care of extensive clean up work. At Savage Painting we work with each customer, one-on-one, to help ensure that you make good color choices so you can end up loving the final results. This includes making selections that will help create a cohesiveness between all of the rooms. Don’t settle for less than the best, when it comes to the quality of work that goes into painting the inside of your home. The outside of your home is what makes a first impression and enhances your curb appeal. This is why it is so important that you feel good about the look that your exterior painting provides. Even the process of selection for the paint color for the outside of your home or business is an important one. For all these reasons, it is vital to the success of your painting job that you make it a point to partner with a professional. Here at Savage Painting, we take great pride in being able to meet and exceed the needs of each of our clients. We want you to be able to have long term satisfaction from the exterior paint job that you have completed. There are countless reasons why this is not a good project to try to make a DIY one. Aside from wanting the best possible results, it is about ensuring your safety. Our team has the training, skills, experience and equipment needed to complete the work in a prompt, professional and safe manner. The process of color selection is about choosing a base and trim color that will work well together. It is about taking the hues in your landscaping into consideration. It is even about picking a color palette that works cohesively with the surrounding neighborhood houses, in order to avoid clashing. You are going to love the look that we are able to create for you. We take the time required to provide quality work, because it is your satisfaction that matters the most to us. Don’t just take our word for it, let our references and portfolio of previous work speak volumes for how we take care of our customers. 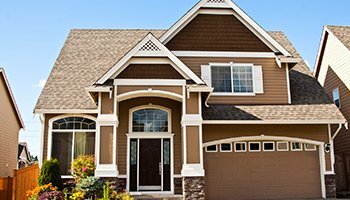 Keeping your house looking its best is about keeping the exterior looking its best. One great way to make this possible is to schedule professional power washing. We can offer you the finest in exterior cleaning work, with our pressure washing service. You will be amazed at the difference you will see between the before and after from our power washing service. 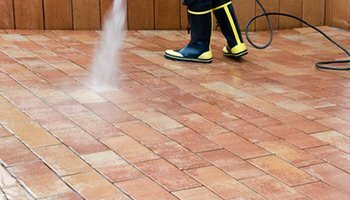 While many big box, home improvement chain stores offer rentals for DIY pressure washing systems, you are not going to get the results that you had hoped for. Not to mention, without proper training, damage and injuries can occur as the result of amateur use of this type of machinery. Did you know that quality power washing work can even improve the overall property value of your home? It is true, and real estate agents will tell you, that if you are planning on listing your home for sale, professional pressure washing can increase the asking price and value as much as $10,000 -15,000. So, whether you want to sell your home, maximize the value or just enhance the appearance, house washing is a smart step to take. Aside from enhancing the look, it is also about preventing outdoor contaminants from making their way inside your house. Pollen, dust, mold spores and even insects that cover the outside of your house can easily make their way inside. Keep your home clean and prevent triggering health issues like asthma or allergies, by keeping the exterior clean. Your gutters are an essential part of protecting your home, yet the average person gives them very little thought. Your gutter system is what helps effectively collect water from your roof, direct it to the downspout and send it in a direction away from the foundation of your home. This helps protect your roof, as well as your foundation, safeguarding the structural integrity of your house. If your gutters are dirty or in poor condition, it means that they cannot handle the job they were intended for. Make it a point to get the professional help you need by getting expert level gutter cleaning. We will help to ensure that you can keep your gutters in topnotch condition, so they can keep flowing the way they should be able to. 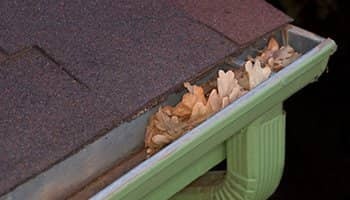 Clogged gutters cause water and grime to spill over the side, damaging the roof and siding. Stagnant water also becomes the perfect breeding ground for pests like mosquitoes. Not to mention, the water will begin to negatively affect the foundation of your home. Of course, it is also about making certain that your gutters look their best. Your gutter system can either add to or detract from your curb appeal. Keeping them clean is what will determine which category your gutters will fall into. 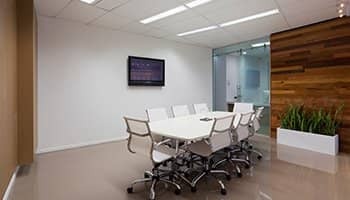 Getting commercial or office painting will make a huge difference, for so many reasons. For one thing, this will help impress upon your customers and potential clients that you take your business seriously. The appearance of the interior and exterior of your business is vital for helping your clients choose to work with you, as opposed to your competition. This is also a crucial part of making certain that your employees will have a sense of pride in their work space. Improving morale in this manner enhances productivity, as well as customer relations. All of this equals greater revenue which is the ultimate goal of any business. The trick is making sure you get the quality workmanship and results you need, which means not settling for inferior painting. It also means not making the mistake of thinking this is the type of work that you should be doing on your own. Leave commercial painting to the experts and be certain that you are going to get the results that you wanted and hoped for. Our team is trained to work with clients and help them make vital choices about colors. We will assist you in selecting the right color palette in order to create the ambiance that will motivate staff and lure in customers. Invest back into your business by getting professional office painting, and watching it turn back into profit. 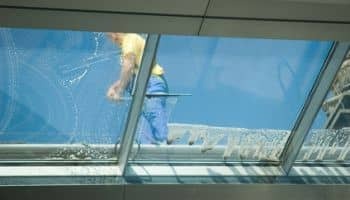 Ask the average cleaning company about windows and their response will be “we don’t do that.” What expert exterior cleaning service draws the line at windows? The good news is that you won’t hear that response from Savage Painting. In fact, quite the opposite is true. Window cleaning happens to be one of our areas of expertise and a specialty we are proud to be able to offer. You will be amazed at the difference you will notice, once we get done with cleaning the outside of your windows for you. This is not the type of work that you should ever attempt on your own, even for single level homes. We offer the best in safe work and effective results, because we have the expertise and equipment needed to make it possible. Before getting new windows, let us show you how good your original windows can look, after professional cleaning. Believe it or not, even your windows can impact the overall property value of your house. Dirty and spotted windows can dramatically hurt the value, and a minimum investment for cleaning will change that. Let us help ensure that you get the finest possible results for your window cleaning, by making the smart call to us. The bottom line is that Savage Painting knows what it takes to provide the best all around customer experience. While the painting or exterior cleaning work is important, it is also about the personalized customer service we are able to offer. A large part of the job is making certain that you are able to make good choices, such as which color to choose for your paint colors. We partner with our clients, from start to finish. From the consultation and prep work to the final site cleaning and follow up care. There are plenty of reasons that we have become the local leading service provider for both residential and commercial clients, for interior and exterior painting. We also offer the best in exterior cleaning work, such as power washing, window cleaning and gutter cleaning. There is no reason to settle for less than the best, when it comes to the work you get for your home or business, inside and out. Even more important, do not attempt to make any of this type of work a do-it-yourself project because you are not likely to end up satisfied with the final outcome. Contact us today to find out more about what we have to offer you. If you are looking for a expert painter in the South Shore area then please call 508-933-4508 or complete our online request form.